Dwayne Johnson won’t be part of Fast and Furious 9, the next mainline entry in the franchise, the wrestler turned actor — popularly known as “The Rock” — has revealed in a new interview. Johnson is set to reprise his role as Agent Luke Hobbs in the upcoming first Fast and Furious spin-off, Fast & Furious Presents: Hobbs & Shaw, later this year, but he is sitting out the next entry which is about to begin filming, per Johnson. He could potentially return for Fast and Furious 10, currently slated to be the final entry in the franchise though, he added. Johnson uses the “we” pronoun in his statement, which suggests that Jason Statham’s Deckard Shaw won’t also be part of Fast and Furious 9. Statham had a cameo in 2013’s Fast and Furious 6, and then became part of the main cast for 2015’s Furious 7 and 2017’s The Fate of the Furious, also known as Fast and Furious 8. Johnson has been with the franchise since 2011’s Fast Five. Though Johnson puts their absence down to what sounds like scheduling conflicts, it’s public knowledge that Diesel — who’s been a producer since 2009 in addition to being lead star — and Johnson don’t get along very well. 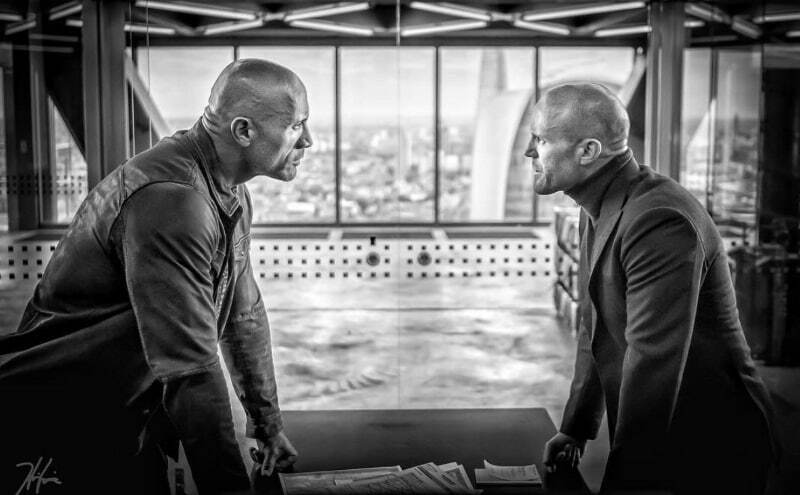 Johnson admitted “a fundamental difference in philosophies on how we approach movie-making and collaborating” last April, which is why the two shot their scenes for The Fate of the Furious separately, including a shared important moment. Johnson had hinted then that he might not appear in Fast and Furious 9, which is now turning out to be the case. Fast & Furious Presents: Hobbs & Shaw releases August 2, 2019 in cinemas worldwide. Idris Elba (The Wire, Luther) is set as the main villain, Helen Mirren will return as Shaw’s mother, with Vanessa Kirby (Mission: Impossible – Fallout) joining as Shaw’s sister. Fast and Furious 9 is scheduled to roll in April 10, 2020, followed by Fast and Furious 10 on April 2, 2021. Beyond those, there’s also the female-centred Fast and Furious spin-off that’s in the works with three female screenwriters.